Many of the personal insights and techniques I describe in this book are the products of trial and error, with the emphasis on error. They have proven their value over many years, and I hope that you’ll find them equally useful. This book is available in hard copy and digital versions, and wherever books are sold. To order online today, click on any of the bookseller logos listed below. 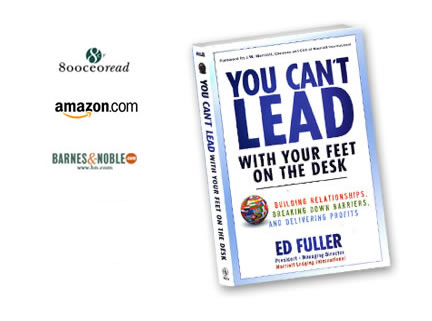 Click below to see reviews of You Can’t Lead with Your Feet on the Desk.